The management of Acute Traumatic Brain Injury or Head Trauma can be a significant challenge clinically, resource intensive and influenced by delayed transfer times in Rural Environments. As per Honeybul & Woods (2013), "The key initial elements remain aggressive early resuscitation followed by a comprehensive assessment of conscious level and either early consultation or transfer to a neurosurgical facility." This approach factors in assessing and addressing the Primary Injuries, whilst preventing further Secondary Neurological Injury (through mechanisms such as Hypoxia, Hypotension, Raised ICP, etc). This is part of the Rural Emergency Module series (designed in particular for ACRRM Trainees). Recognise, send for help, gather resources and appropriate equipment. Early contact with Retrievals and Neurosurgeons. Early intubation in comatosed patients. Tape rather than tie ETT. Haemorrhage, vomiting and swelling from facial trauma are common causes of airway obstruction in patients with TBI, use suction as necessary. Protect the C-Spine – collar/inline immobilisation/sandbags, aim to convert to sandbags to assist venous drainage. Aim for PaO2 > 100, PaCO2 ~35, avoid hyperventilation unless immediate risk of coning. Normovolaemia and MAP >70, Sys BP >90. If placing a central line avoid Trendelenburg position. Perform and document GCS (AVPU in children), limb movements and pupils regularly. Document prior to sedation/paralysis. Assess for other life/limb threatening injuries. Orogastric over Nasogastric tube when and if safe to do so. Cardiovascular status and response to treatment to date. Cross-match if significant blood loss. CT is the preferred modality if available. If not available prompt transfer to a facility that does, once Primary Assessment and Stabilisation performed. Skull x-rays are not routinely recommended. CT Head/Brain scans are indicated in all Moderate to Severe TBIs. Clinical decision rules can be used to guide selection of patients appropriate for imaging who may initially present as a Mild TBI. Any sign of basilar skull fracture? Pedestrian struck by motor vehicle, occupant ejected from motor vehicle, or fall from > 3 feet or > 5 stairs. If any of the following are present, CT is required. Click to see more details from RANZCR Guidelines - Adult Head Trauma. Use the PECARN rule – however other rules exist. Click to see more details from RANZCR Guidelines - Paediatric Head Trauma. Accuracy of PECARN, CATCH, and CHALICE head injury decision rules in children in the context of Australia was reviewed in the Lancet in 2017. Cranial Ultrasound could be considered in infants if limited radiology modalities available in the interim. Note ICH will only be able to be assessed in children < 1y age with open fontanelles. In older children it can be used to assess for Skull Fractures with significant limitations. Need to consider primary injury management in conjunction with ABCDE priorities, and secondary injury management. Frequent reassessment is crucial to ensure early signs of raised ICP are not missed. Maintaining SBP at 50 to 69 yo: >100 mmHg | 15-49 or >70 years: >110 mmHg or above for patients, may improve outcomes. As always keep FAST HUGS in BED Please in the back of your mind. Propofol often a favoured sedation agent. Antibiotics: Antibiotic prophylaxis should occur in all cases of open and penetrating injuries as well as when there is suspicion of any base of skull fractures. Tetanus prophylaxis should be administered in any penetrating brain injury patients. Thromboprophylaxis: Insufficient evidence for pharmacological agents. LMWH or low-dose unfractioned heparin may be used in combination with mechanical prophylaxis. However, there is an increased risk for expansion of intracranial haemorrhage. Skin/eye care and suctioning: Clean, debride, bandage and dress wounds as appropriate. Steps in the initial management should focus on control of external haemorrhage. If direct pressure fails to achieve haemostasis, than stapling and suturing should be considered. Nasogastric tube: orogastric is the preferred option in head trauma patients. Should be performed after intubation. Environment: Maintain Normothermia (Temp 36-37; give antipyretics if Temp >38C) to prevent a rise in cerebral metabolic rate. Used as a rescue therapy to prevent herniation. Reduces ICP at the expense of Cerebral Blood Flow. Monitor with EtCO2 readings or ABG. Prolonged Hyperventilation should be avoided during the first 24 h after injury when CBF often is reduced critically. The approach to intubation in head trauma patients should include optimising physiological parameters, maintenance of those parameters, preventing reflex sympathetic response and minimising complications of intubation. See Intubation of the Neurocritical Care Patient for further details; https://lifeinthefastlane.com/ccc/intubation-of-the-neurocritical-care-patient/. Pre-treatment: IV Fentanyl + topical lignocaine (e.g. 5 ml of 4% lidocaine spray) effectively attenuates cardiovascular responses to intubation. Induction Agent: Minimal or no induction dose. Propofol or thiopentone or ketamine. Be aware of Pros/Cons of each agent. Paralytic: IV Rocuronium 1.2 mg/kg is agent of choice. Avoid Suxamethonium where possible. The evidence around osmotherapy is still of insufficient quality and quantity to determine which intervention offers the best outcome for patients with Severe TBI. Treatment choice should be guided by available fluid therapy and with specialist input. May result in; worsening hypovolaemia, renal failure. May also require inotropic support. Dose: 6-8 ml/kg of 3% solution as a bolus. Tends to last longer than Mannitol. No 3% hypertonic saline/mannitol in your facility, you could consider using sodium bicarbonate. 8.4% bicarbonate for osmotherapy may be conceptualized as “6% saline. Suggested Dose (adults): 80-120 ml or two 50ml ampules of 8.4% sodium bicarbonate over 30 minutes. If seizures a useful mantra is Sedate, Intubate, Ventilate. Follow normal seizure management protocol. Load the patient with an anticonvulsant such as Phenytoin or Keppra (levetiracetam). Phenytoin prophylaxis is recommended to decrease the incidence of early PTS (within 7 d of injury), when the overall benefit is thought to outweigh the complications associated with such treatment. There is insufficient evidence currently regarding the use of Keppra (levetiracetam) for prophylaxis, but it is also likely to be beneficial and is used by several Australian Health Services. This procedure is especially important in a patient who is rapidly deteriorating and does not respond to non-surgical measures. Consult with neurosurgeon and use Telehealth as available. Indications: Patient with reduced GCS (< 8) with imaging evidence of an extra-dural haematoma causing midline shift and unequal pupils when timely neurosurgical intervention is not possible. Further Considerations: level of surgical experience and range of neurosurgical equipment available at the hospital. Procedure: see Emergency burr holes: "How to do it" / and The Management of Acute Neurotrauma in Rural and Remote Locations section on Burr Holes for further details. Any patient who is taking an anticoagulant such as warfarin or other oral anticoagulants (dabigatran, rivaroxaban, apixaban) is at high risk of developing significant bleeds intracranially and elsewhere. 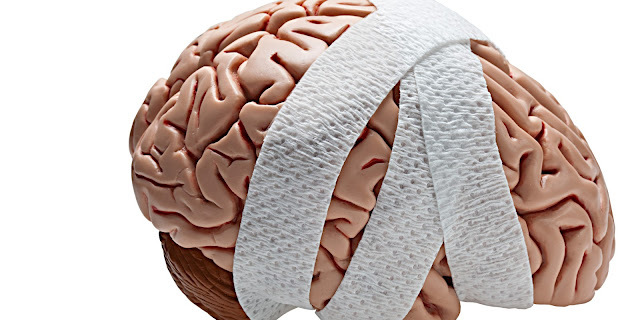 Insufficient evidence to recommend routine administration of Tranexamic Acid solely for TBI.